Salsa’s New Spearfish and Horsethief 29ers. 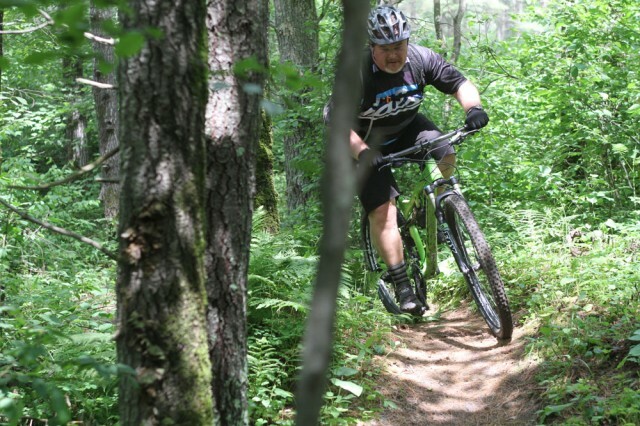 Last week, Chipps happened to find himself in Wisconsin, with a brace of brand new Salsa bikes to review. The test location was the site of the famed Chequamegon 100 – a 100 mile, nearly completely singletrack race. The area had had five inches of rain the day before, and in the name of protecting the trails from 300 racers (and because the event is to raise money for trailbuilding and IMBA) the event was postponed (until September). Luckily, the trails were dryer than feared, so in its place there was a mere 50 mile fun ride put on by the race organisers and Chipps tagged along for some of it. Here’s his take on the new bikes. My first ‘proper’ mountain bike was a Salsa A La Carte and so I’ve followed the brand with interest over the years, from its rise as a great Californian builder, the inventor of FlipLock quick releases and then the purchase by QBP in the late 90s and the early championing of 29in wheels and promotion of ‘adventure bikes’ like the Fargo and Mukluk. The arrival of the 80mm Spearfish and 120mm Horsethief a few years ago showed that Salsa was taking the big wheel adventure thing seriously and now, with this latest version of both bikes, Salsa has really stepped things up. 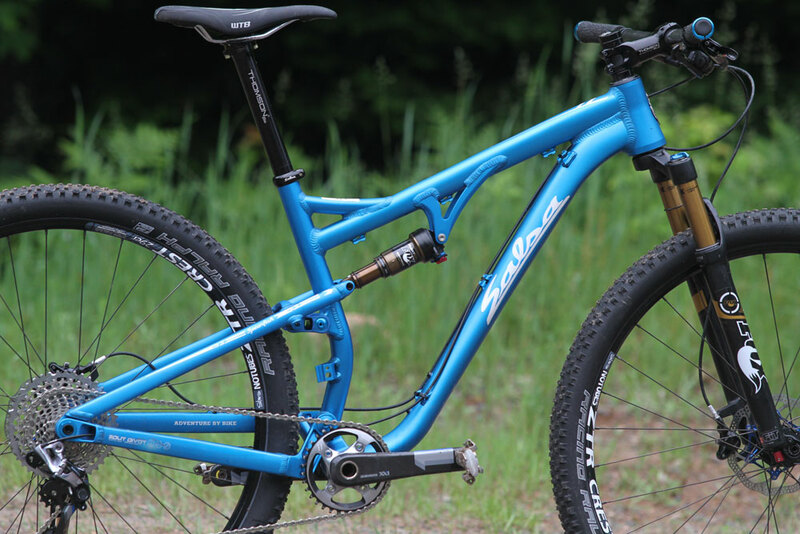 With competent suspension, neat welding and lovely finishes, Salsa has moved into the big league. Let’s start with the Spearfish. While all the world has gone to bigger and bigger travel, Salsa has kept its Spearfish at 80mm of rear travel, 100mm front. Its reasoning is that the market is pretty full with 100mm 29ers, but the 80mm 29er race market is one that it helped create and one it wants to keep on top of. Besides, 80mm is enough cushioning for most epic races, 24hour solos and fast blasts anyway. The Spearfish gets three anodised finishes and one painted model. The biggest change to the new bikes is the adoption of the Split Pivot by Dave Weagle. 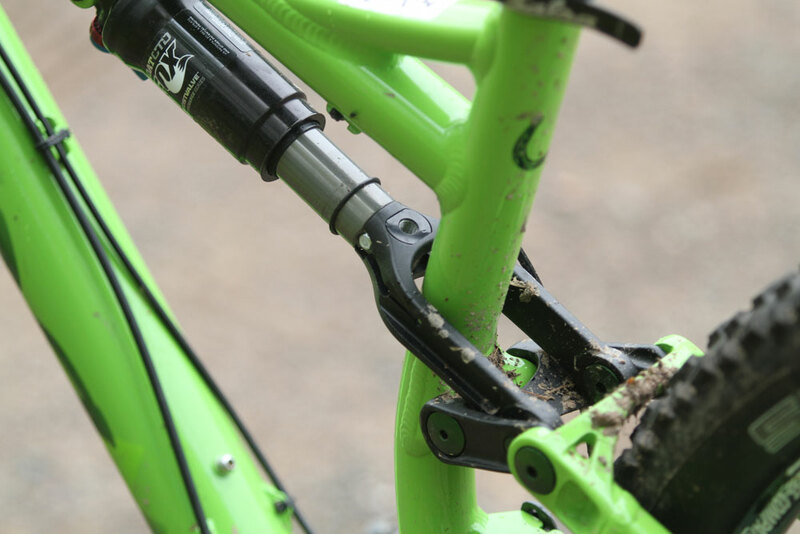 This replaces the flex-stay seatstay that Salsa used in its previous Spearfish and Horsethiefs (Horsethieves?) The frame has been completely redesigned to work with this pivot system, where the pivot is centred around the rear hub axle. It promises ‘exceptional bump compliance, maximum traction, incredible pedaling efficiency and predictable braking.’ What it definitely seems to have done is to neaten up the whole look of the frame. Split Pivot. Salsa is the only US brand at the moment to be using it. Salsa claims that the new Spearfish, complete with 142x12mm rear axle, is 21% stiffer laterally. 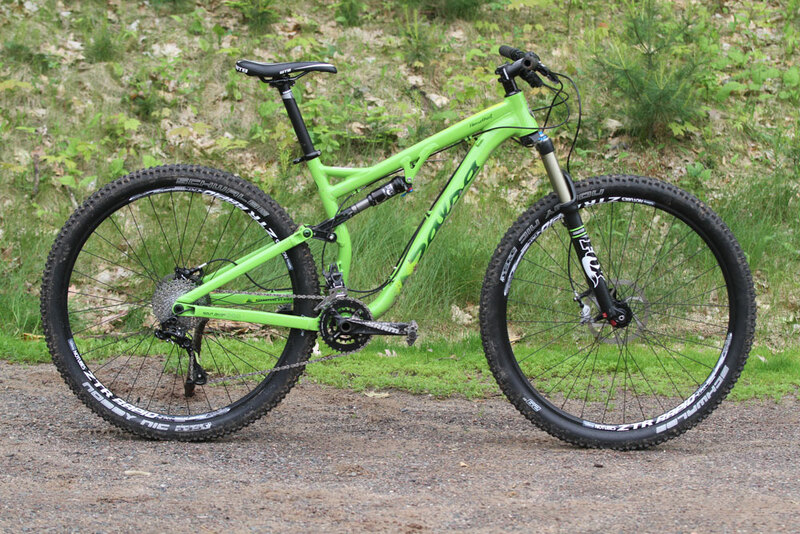 The bike is designed for a 100mm 29er fork and will take up to a 29 x 2.35in tyre. 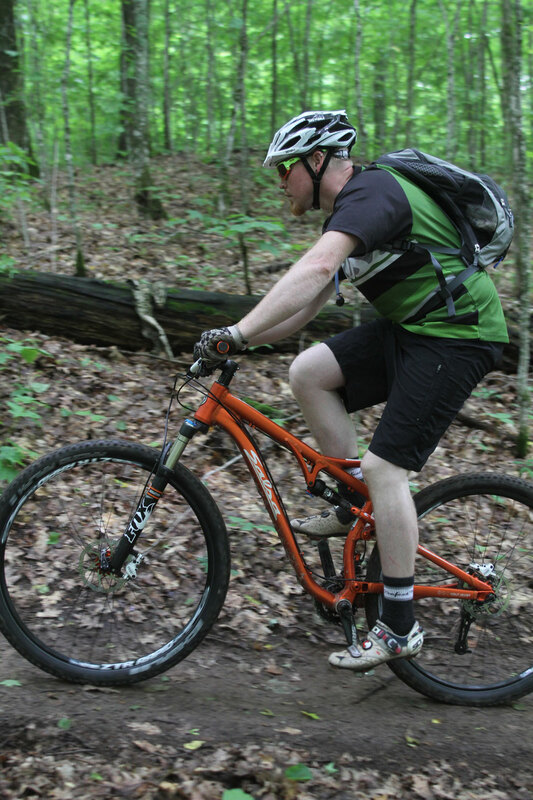 Additionally, the bike uses forks with a bigger than normal, 51mm offset. 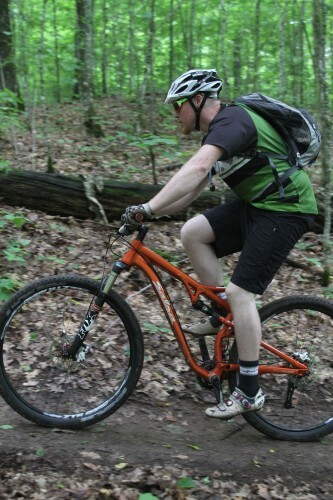 This has the effect of reducing the trail and gives a livelier ride. Although there’s actually been a small weight increase for 2014 with the additional Split Pivot hardware, the XX1 equipped bike comes in under 24lbs. The base Spearfish 3 is under 29.5lbs. Importers Ison Distribution will be bringing in a frame-only model for the time being, available in September and costing £1500. A Spearfish being put through its paces by The Viking in the woods of Wisconsin. Ano’ finishes look super smart in the flesh. Dropper cable routing is external. 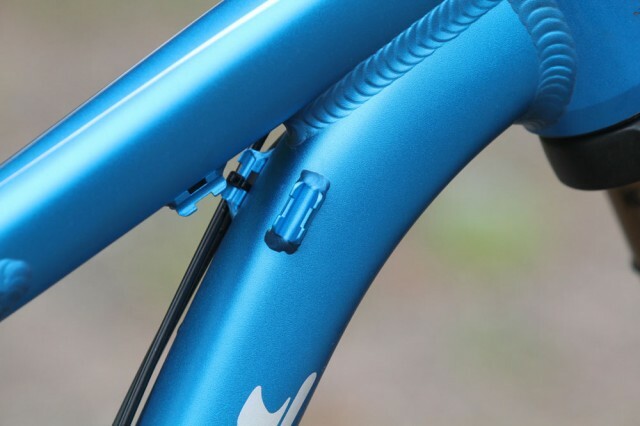 Ambidextrous cable routing allows neat cabling, even for UK riders. Woohoo! It wasn’t all rainstorms over there. 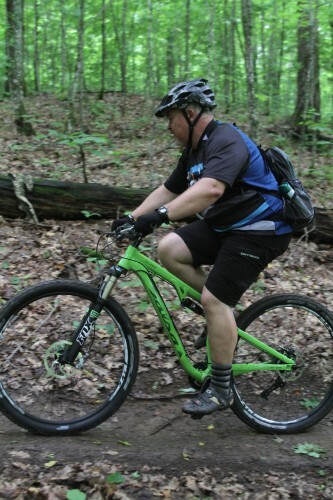 Premier readers can find out what Chipps thought of the bikes after two days of riding in the review below. Now, the Horsethief is a completely different animal to the Spearfish, even though they look similar. 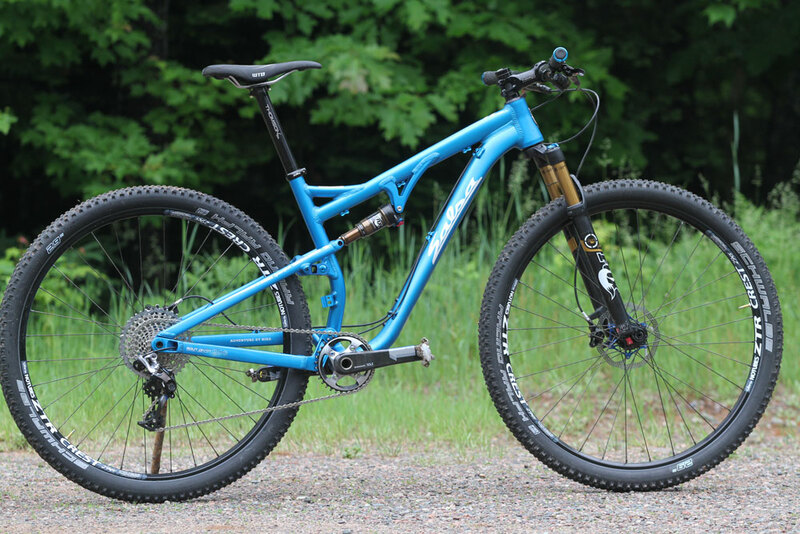 The Horsethief is a 130mm front, 120mm rear 29er designed for bigger, rockier, nastier country. The silhouette is similar, but instead of the seatstays driving the rear shock, there’s a neat linkage in place that allows the seastays to terminate earlier than on the Spearfish, on the shock link. On both bikes though, the rear shock isn’t relied on to do anything other than compress and extend. It’s not a stressed frame part and so the bushings should last a good long time. 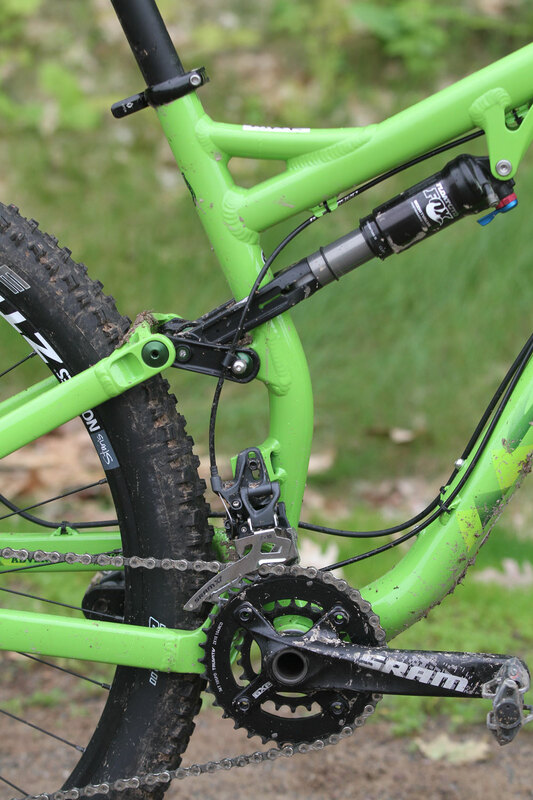 Talking of lasting, the Split Pivot design includes bearings in the rear hub pivot and a 142x12mm rear axle. 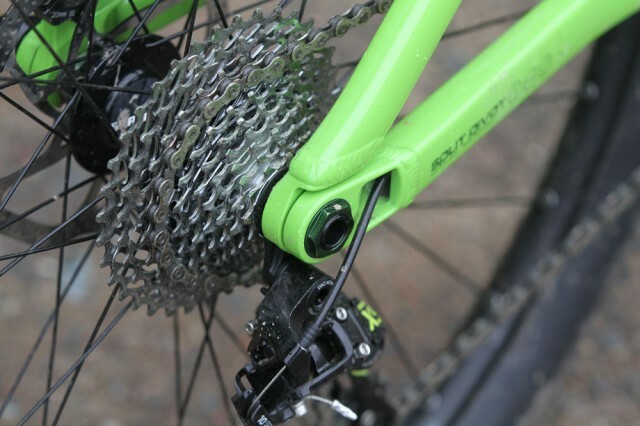 Salsa’s testing indicates an 18% increase in lateral stiffness over last year’s frame. Both bikes feature tapered head tubes and are designed for 51mm offset forks – in this case, a Fox 34. Painted-finish Horsethief 3. We’re waiting to hear which colours/finishes Ison will be bringing in later this year. Neat linkage bolts on to the rear shock. 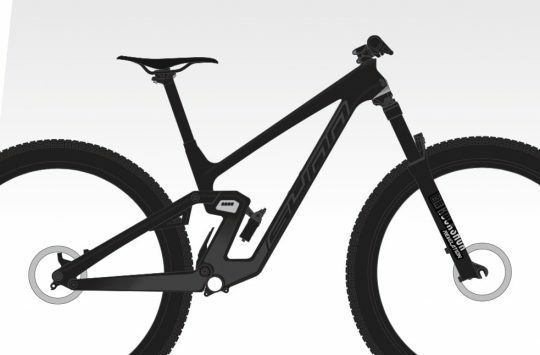 Specialized has uses a similar design on some of its bikes. Split Pivot from Mr Weagle. Neon paint from Salsa. Bolt on front mech mount. 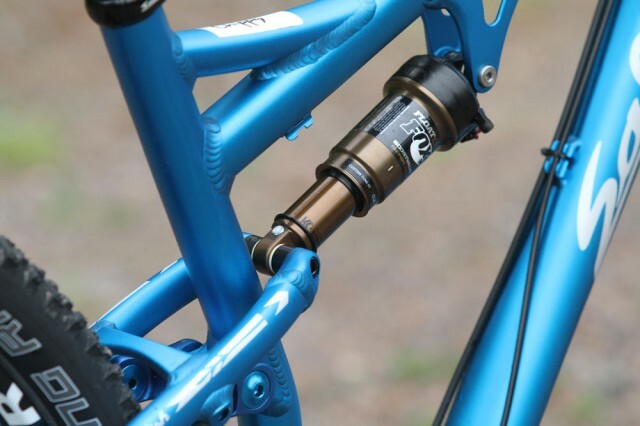 Stealth or external dropper posts are both catered for. Seat QR on the Thief too. 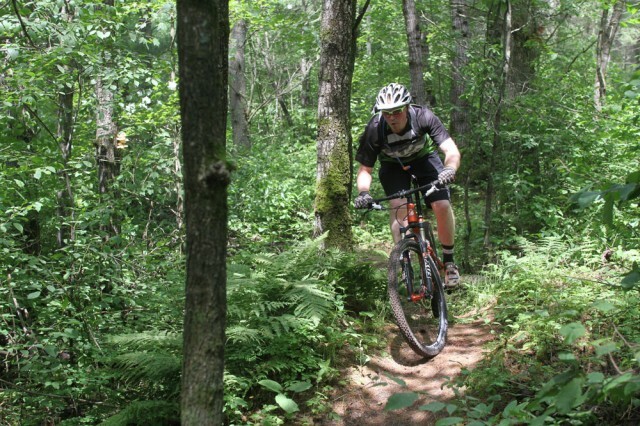 Salsa’s ‘Kid’ Riemer on one of our test loops. Matches the scenery. The Horsethief cries out for rocky terrain. 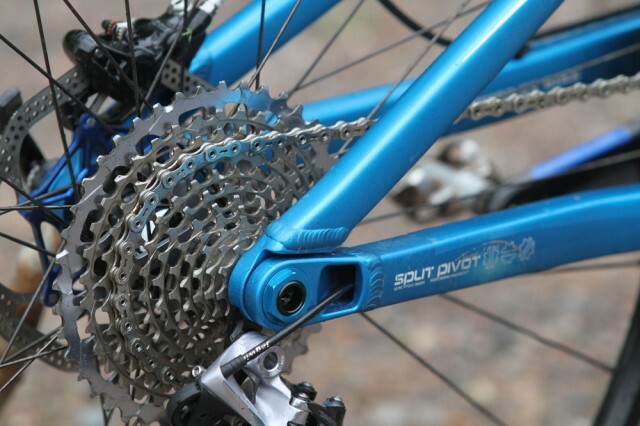 Salsa is keen to point out that it didn’t just bolt on some Split Pivot stays and be done with it. 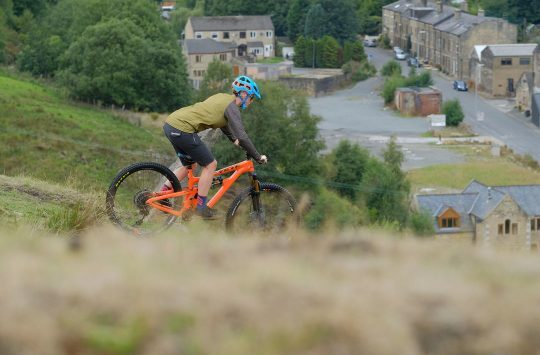 Firstly, Salsa’s engineers went to visit Dave Weagle and spent a couple of days riding many bikes from other manufacturers to get an idea of the kind of feel they wanted in their new bike; what they did and didn’t like from other designs. They rode their own bikes too and also found things they wanted to improve. Together they worked out the frame design – starting with Dave’s ‘kinematics’ – which are just dots on a page, showing where bits of the frame need to be in order for the suspension to work as desired, then they filled in the gaps with bicycle. When they were happy with how the suspension worked with their frame designs, only then were prototypes made and then extensively ridden. Hopefully we’ll get a chance to try one, or both of these bikes on home soil soon. Ison Distribution hopes to have demo bikes to ride by the end of August. I highly recommend you give them both a go. Having said that, they look great 🙂 Spearfish in really bright colour please. I just knew the pricing wouldn’t be as competitive as previous model. Still want a spearfish! 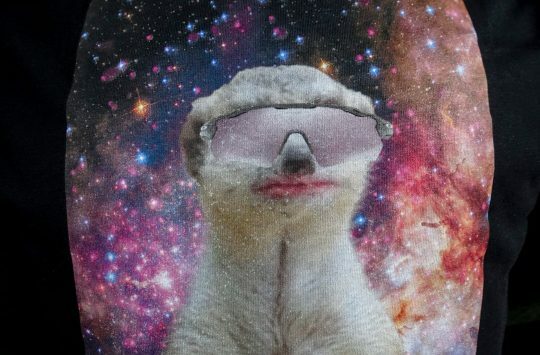 Matt, that was one thing that they said wasn’t finalised yet. There’s currently a cable holder on one of the pivots, which seems to be holding the cable to rub on the rocker. Now they’ve had production ones to ride, they’ll see where the cables are rubbing.